Eagle conveys the powers and messages of the spirit; it is one's connection to the divine because it flies higher than any other bird. ... If an eagle has appeared, it bestows freedom and courage to look ahead. 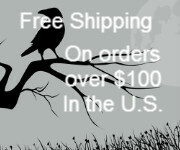 The eagle is symbolic of the importance of honesty and truthful principles. 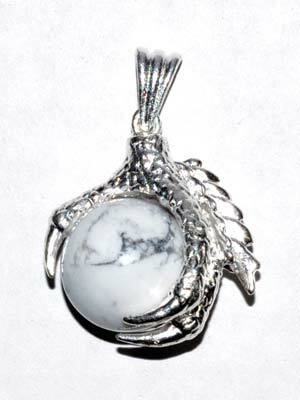 A howlite marble is suspended between the claws of an eagle. Approx 1 1/4" x 3/4" at its widest points.